On January 11, 2019, Coty Inc. (NYSE: COTY) (the “Company”) announced a series of executive changes. On January 10, 2019, the Company appointed Pierre-André Terisse, age 52, to the position of Chief Financial Officer and a member of the Executive Committee, effective as of February 1, 2019. In connection with such appointment, the Company issued an offer letter that was accepted by Mr. Terisse (the “Offer Letter”). Under the terms of the Offer Letter, Mr. Terisse will serve as the Company’s Chief Financial Officer on an at will basis, during which time he is entitled to the following compensation and benefits: (i) an annual base salary in the amount of GBP 600,000; (ii) an annual incentive bonus under the Company’s Annual Performance Plan (“APP Bonus”) targeted to be 70% of his annual base salary; (iii) participation in the Company’s Elite stock investment program as described in the Company’s Proxy Statement filed with the Securities and Exchange Commission on September 20, 2018 (the “Elite program”), with a target investment amount of $2,500,000 million; (iv) eligibility for annual long-term incentive awards, in such amounts and in such form as shall be determined by the Company’s Board of Directors or a duly authorized committee thereof and (v) participation in the employee benefit plans generally made available to senior officers of the Company in the United Kingdom. In addition, Mr. Terisse has been awarded a one-time grant, to be issued in February 2019, of restricted stock units with a value equal to $1,500,000, vesting 60 percent on the third anniversary of grant, 20 percent on the fourth anniversary of grant and 20 percent on the fifth anniversary of grant, subject to his continued employment with the Company through each applicable vesting date. Upon employment, in accordance with the Company’s customary practice in the United Kingdom, Mr. Terrise will enter into anemploymentagreement with the same terms as the offer letter. The foregoing description is qualified in its entirety by reference to the full text of the employment agreement, a copy of which will be filed as an exhibit to the Company’s Quarterly Report on Form 10-Q for the period ended December 31, 2018. Mr. Terisse joins the Company with over 30 years of public company finance experience, including experience in business turnarounds, treasury and finance integration. He spent the majority of his career at Danone, S.A, as Group CFO from 2008 to 2015 and as General Manager of Danone’s Africa Division from 2015 to 2017, where he designed and implemented the division’s strategy, operational foundations and innovation pipeline. In 2017, he founded MAYI Africa, a privately-held company. Mr. Terisse holds a Bachelor’s Degree in Business and Management from IAE Lyon III, as well as a Master’s Degree in Finance from EM Lyon Business School. There have been no transactions, nor are there any currently proposed transactions, to which the Company or any of its subsidiaries was or is to be a participant in which Mr. Terisse, or any member of his immediate family, had, or will have, a direct or indirect material interest. On January 11, 2019, the Company also announced the appointment of Luc Volatier as the Company’s new Chief Global Supply Chain Officer and a member of the Company’s Executive Committee, effective as of January 14, 2019. Mario Reis will leave his position as Chief Global Supply Chain Officer. As part of the leadership changes, the Company is evolving the leadership structure of the Consumer Beauty division. As the Company’s Chief Executive Officer, Pierre Laubies will lead the strategic turnaround of the Consumer Beauty division. The Company has appointed Gianni Pieraccioni as Chief Operating Officer of the Consumer Beauty division and a member of the Executive Committee, effective as of January 14, 2019. Laurent Kleitman will leave his position as President, Consumer Beauty. In connection with these appointments, the Company provided offer letters to Messrs. Volatier and Pieraccioni setting forth the primary compensation elements for their respective positions. Under the terms of his offer letter, Mr. Volatier is entitled to the following compensation and benefits: (i) an annual base salary in the amount of CHF 650,000 ; (ii) an APP Bonus targeted to be 70% of his annual base salary; (iii) participation in the Elite program, with a target investment amount of $5,000,000 million; (iv) eligibility for annual long-term incentive awards, in such amounts and in such form as shall be determined by the Company’s Board of Directors or a duly authorized committee thereof and (v) participation in the employee benefit plans generally made available to senior officers of the Company in the United Kingdom. In addition, Mr. Volatier has been awarded a one-time grant, to be issued in February 2019, of restricted stock units with a value equal to $1,500,000, vesting 60 percent on the third anniversary of grant, 20 percent on the fourth anniversary of grant and 20 percent on the fifth anniversary of grant, subject to his continued employment with the Company through each applicable vesting date. equal to $2,000,000, vesting 60 percent on the third anniversary of grant, 20 percent on the fourth anniversary of grant and 20 percent on the fifth anniversary of grant, subject to his continued employment with the Company through each applicable vesting date. The foregoing descriptions are qualified in their entirety by reference to the full text of the respective offer letter, a copy of which will be filed as an exhibit to the Company’s Quarterly Report on Form 10-Q for the period ended December 31, 2018. In addition, Esra Erkal-Paler, Chief Corporate Affairs Officer, has decided to leave the Company to pursue other opportunities. As part of its ongoing transformation efforts, the Corporate Affairs function will be integrated into the Company’s three divisions and functions. A copy of the press release announcing the appointments of Messrs. Terisse, Volatier and Pieraccioni and the departures of Messrs. Kleitman and Reis and Ms. Erkal-Paler is attached to this Current Report on Form 8-K as Exhibit 99.1. 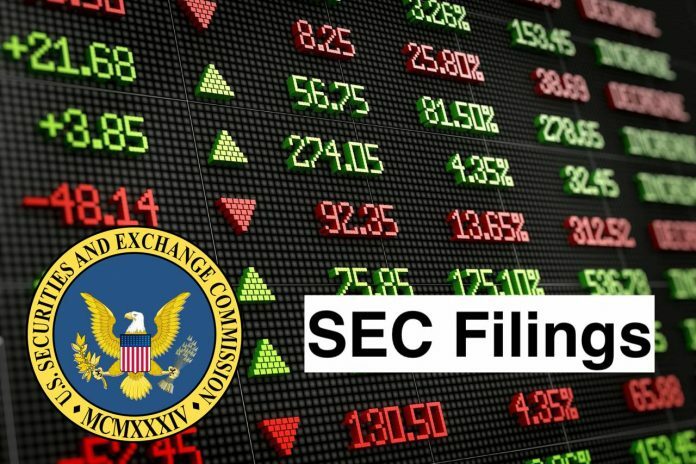 Exhibit 99.1 shall not be deemed “filed” for purposes of Section 18 of the Securities Exchange Act of 1934 (the Exchange Act) or otherwise subject to the liabilities under that Section and shall not be deemed to be incorporated by reference into any filing of the Registrant under the Securities Act of 1933 or the Exchange Act. A copy of the press release is also available on the Company’s website at www.investors.coty.com, under the “Investor News” tab. Press release, dated January 11, 2019.